New findings by an Iowa State University food science and human nutrition professor's research team suggest higher levels of a hormone that makes you feel full may also help prevent Alzheimer's disease. 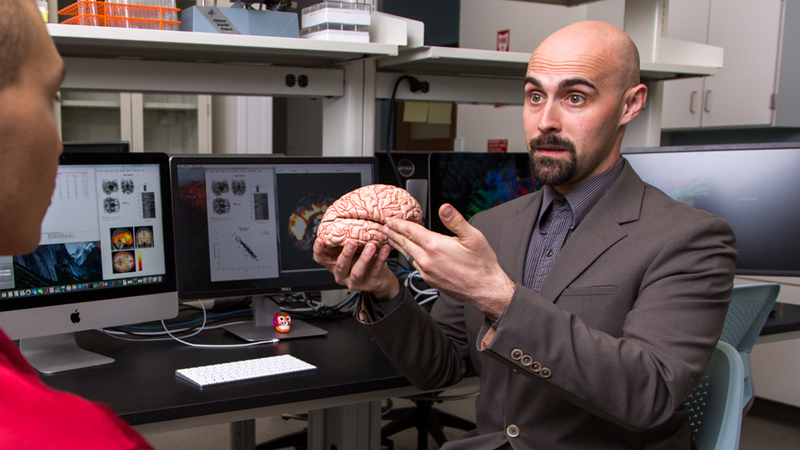 Assistant professor Auriel Willette and his team found that for individuals with higher levels of the satiety hormone Cholecystokinin, the chances of having mild cognitive impairment or Alzheimer's disease decreased by 65 percent. Read the full story on the food science and human nutrition website. New findings by an Iowa State University food science and human nutrition professor's research team suggest higher levels of a hormone that makes you feel full may also help prevent Alzheimer's disease.